Pendleton Woolen Mills is a textile company that is truly American in nature. Famous for its blankets and throws, the patterns reflect the original founding of the company with Native American inspired design polished by a Brit's weaver expertise. And true to the nature of the state of origin, Oregon, wool is meant to keep its owner warm. It's a company that has stayed true to its founding. In addition to supporting its original heritage and artists by backing the Indian Arts & Crafts Act, Pendleton is also a proud supporter of the National Parks with a line of products dedicated to the foundation. 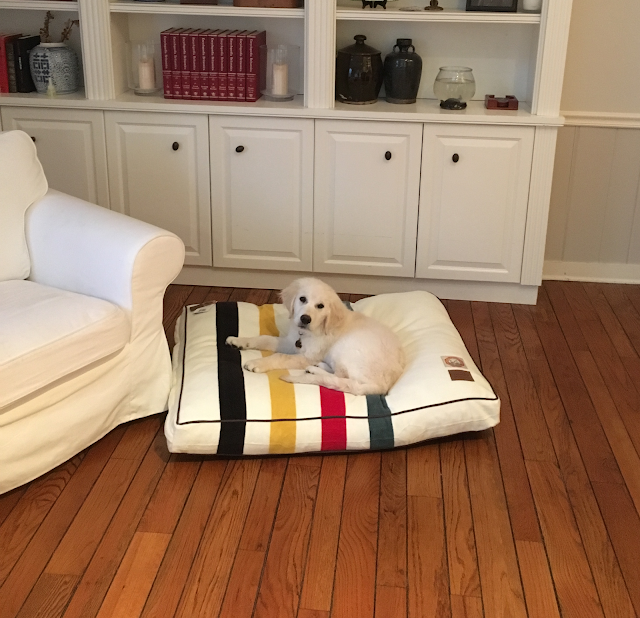 One of which has become a recent addition to our household, the National Park dog bed, which comes in Acadia, Crater Lake, Glacier Park, Grand Canyon, and Rainier. Founded in 1863, Pendleton has been family run and operated ever since. And check out their blog - did you know the Beach Boys were initially the Pendletones? !